David Eldridge discusses the Globe as a political arena, the Monsterist Manifesto, and the inspiration behind his new historical play, Holy Warriors. David Eldridge isn’t happy. It’s only a few weeks until the opening of his Globe play, Holy Warriors, but his voice sounds heavy. The play is about the 12th century battle for control over Jerusalem – the Third Crusade – between legendary Muslim leader Saladin and Richard the Lionheart, King of England. The recent murders of three Israeli teenagers and one Palestinian teenager, and the boiling tensions in Gaza, have lent Eldridge’s play an awful relevance. This is Eldridge’s first history play – yet in many ways it feels like his most topical. Until this point, Eldridge’s plays have largely been contemporary works set in England. 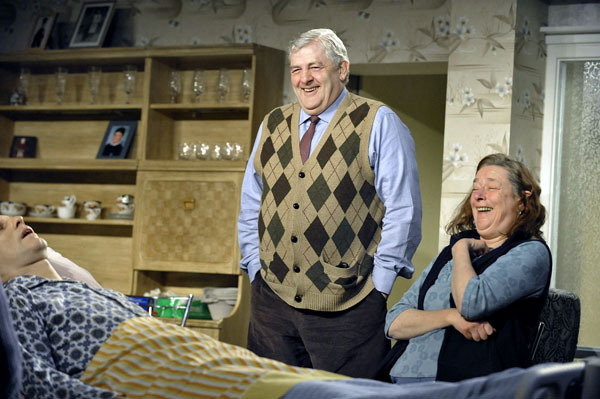 Many have unfolded in London – including his rowdy 2006 National Theatre debut Market Boy – and four of his plays, most notably In Basildon, have been set in Eldridge’s home county of Essex. Barring his stage adaptations (including his brilliant version of Festen), this is the first time Eldridge has strayed so far from .